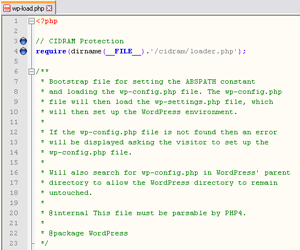 CIDRAM (Classless Inter-Domain Routing Access Manager) is a simple IP range filter written in PHP programming language and intended to be used as a wrapper for any PHP file on your web server. Normally, it is intended to be used as a main layer sitting on top of your CMS (Content Management System) such as WordPress, Drupal, Joomla, phpBB, vBulletin etc. 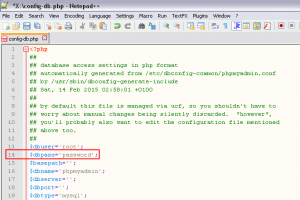 There are countless CMSs out there written in PHP that could greatly benefit from it. At the time of this writing it is still in the early stage of development, so it’s features and functionalities will probably change over time. The basic conceptual idea behind it was inspired by ZB Block protection script, however, with few notable advantages: IPv6 CIDR support, streamlined code & actively maintained GitHub repository, improvements in terms of performance/optimization and organization of it’s key components. It could not be simpler, really. Since the logic/philosophy of including files was covered in ZB Block tutorial already, we will not waste our time here explaining all the details. 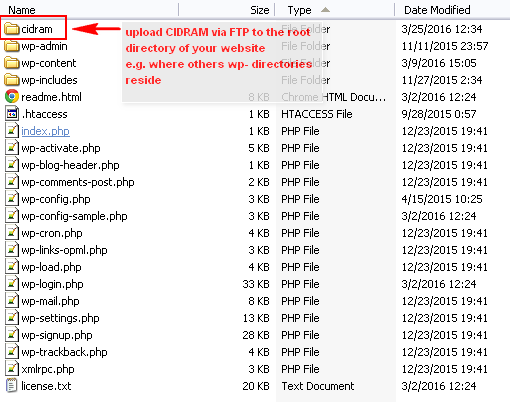 All you have to do is download latest CIDRAM .zip package, upload it via FTP server into your public_html or www directory, include a php call to the CIDRAM’s loader.php file and you are essentially done. But, wait, in which file should I make the call to CIDRAM’s loader.php? Usually, this is the “loader” file itself of a particular CMS. 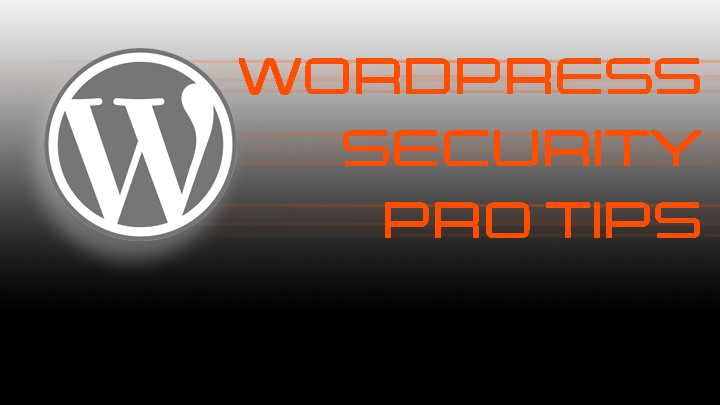 In case of WordPress CMS, it is located in the root of every WP installation and it is named wp-load.php. Other CMS systems might have a different loading sequence, or, if you do not use a CMS system at all, you have to put this call in every stand-alone .php file (or common include) that you wish to protect with CIDRAM filter. 1) This method requires Apache configured to use PHP as a module (mod_php), otherwise you will need a PECL module for htaccess support in FCGI/FastCGI setups. 2) This method requires root access to php.ini configuration file or – at least – enabled support for outside .ini directives overrides (outside ini overrides could be a security threat, though). 3) Auto-Prepend function allows to include one and only one PHP file for execution. In order to execute multiple chained files (for example, if you use more than one protection script), you will have to combine them all within a single .php file, using include_once() or require_once() PHP functions. include()/include_once() are error-friendly, if the file is not found, PHP will still execute the rest of the things, while require()/require_once() will throw fatal error if the file is not found or inaccessible. 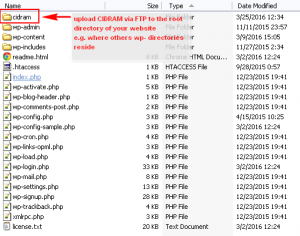 Every time you access your WordPress-powered website, PHP will initialize it through wp-load.php sequence and the very first thing that will be executed is CIDRAM. CIDRAM will then analyze the traffic, namely header of the incoming request and if the IP address matches one of the ranges in the .dat tables, it will be blocked! On the other hand, if the IP does not belong to the predefined rules, PHP will continue to execute WordPress and the request will be served. Now, you might ask yourself something here: Why would I use PHP script to do such a thing (basic IP range filtering), when I can use much faster and already built-in firewall on my server (since it will be executed much earlier in the chain, before hitting PHP at all) ? Well, that is true. If you feel more comfortable working with firewall ban rules and such, go for it. On the other hand, if you know PHP better, you can stick with it and achieve nearly the same result. Also, CIDRAM will probably offer some new features in time, which are harder or impossible to get with ordinary firewall, but it is too early to speculate on this matter for now. This directory has the same purpose as ZB Block protection script. It holds some key components for the script proper operation, and you should restrict access to all of the files in here (preferably with 0700 for maximum flexibility and security). As CIDRAM is still in heavy development, the available options will be most probably modified and expanded over time. These files store the key IP Address ranges information by which it makes the allow/deny decisions. All IP Addresses are written in CIDR notation (naturally), regardless of the fact weather they belong to IPv4 or IPv6 standard. You can, of course, restrict a single IP Address simply by using the appropriate mask at the end (e.g. /32 for IPv4 and /128 for IPv6), but – remember, you must put it in CIDR format! You can specify your own custom IPv4 and IPv6 ranges here, separated from the mainline official rules. This is a HTML template file that is shown to the visitors when they trigger any access deny rule. It comes with some basic inline CSS style. This is a bare-bone HTML template file provided for your convenience and further customization. Remember, you need to copy/replace original template.html file to see the results. This is all there is to it, really. All other files there are internal/specific that users shouldn’t modify under normal conditions. 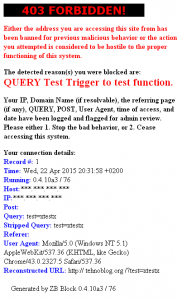 HOW TO COMPLETELY BYPASS CIDRAM FOR SPECIAL IP ADDRESS WHITE LIST? This is exactly the same principle we’ve used in ZB Block, but adapted to work with CIDRAM. In case you have specific issues with CIDRAM that you do not know how to solve, or simply wish to completely bypass it for special white-listed IP ranges, you can do it in the following way. 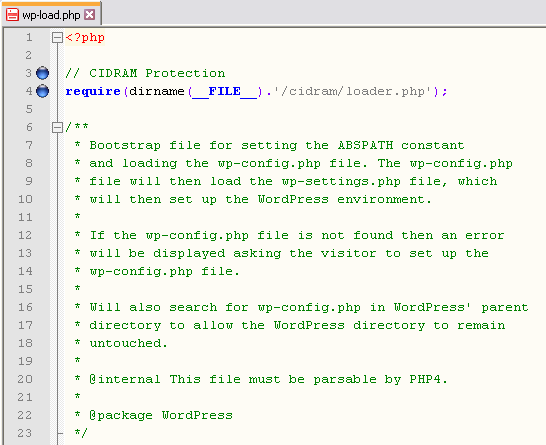 1) First, create loaderwrapper.php empty file inside CIDRAM main directory (along with original loader.php in there). 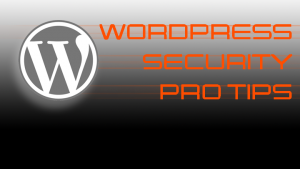 Now CIDRAM will be completely bypassed for trusted IPs and your WordPress administration work will be uninterrupted as if it was never installed in the first place, but it will keep the protection ON for everyone else! Key question: Is CIDRAM going to replace ZB Block? Well, at the present time no, not exactly. ZB Block offers additional features for the time being (despite the lack of IPv6 support), such as filtering based on referrer and User Agent. If those features gets incorporated over time, then the answer will be – yes, without a doubt. For now, you need to use both tools in layered stack (call first whichever you prefer), and they will function in harmony. Just what I needed. Thank you for posting the solution. You’re welcome! I’ve just updated the code with 2 extra lines, a small safety fallback in case you accidentally (or on purpose) delete the ipwldb.csv file (not very likely, but just in case, maybe during CIDRAM automated update or something). ::1,127.0.0.1,192.168.0.1 doesn’t make sense to me since I’m not tech savvy. Why can’t I just google my IP and paste and copy it and use that? I hate that CIDRAM is blocking me today for whatever reason but I can’t figure out why since… well… I keep getting blocked! Hi, check your log in CIDRAM, it should give you a clue. You can add your IP to whitelist, but it may change depending on your ISP, company, etc. Addresses you mentioned are local, and should never be blocked.